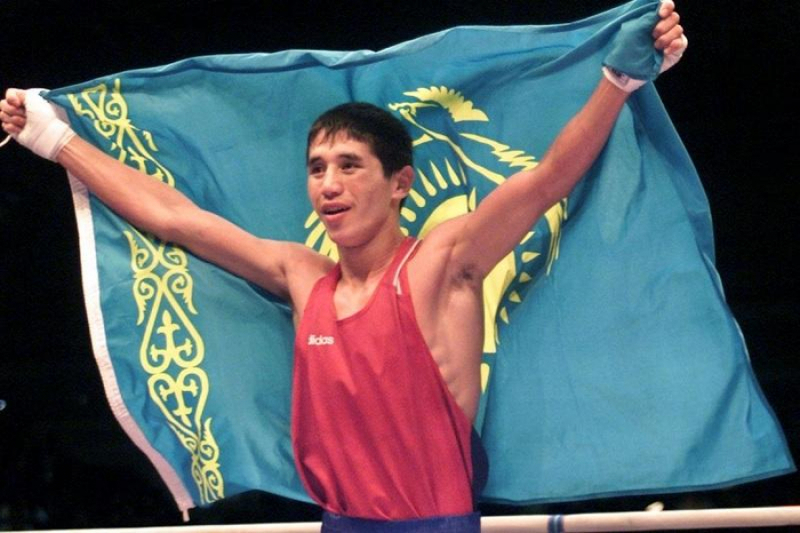 NUR-SULTAN – Khabar Agency’s biographical television series “Bekzat,” commemorating the late Kazakh professional boxer Bekzat Sattarkhanov, will air this spring, reports the National Olympic Committee. Bekzat Sattarkhanov. Photo credit: 24.kz. Filming of the six-episode series recently wrapped up. Its plot centres on the 2000 Summer Olympic Games, and its characters are former International Boxing Association Vice President Beket Makhmutov, former National Boxing Team Head Coach Tursyngali Yedilov and Kazakh professional boxers Mukhtarkhan Dildabek and Yermakhan Ibrayimov. Kazakh actor Samat Azimkulov plays the role of Sattarkhanov. Sattarkhanov won the 1998 Junior World Boxing Championships silver medal in the men’s bantamweight division (54 kilogrammes) in Buenos Aires, Argentina. He defeated Italian boxer Michele di Angelo, Swedish boxer Patrick Bogere, Cuban boxer Guillermo Rigondeaux and German boxer Hamisi Durst, losing to Ukrainian Servin Suleymanov. He went on to win the 2000 Summer Olympics Games gold medal in the men’s featherweight division (57 kilogrammes) in Sydney, Australia. He faced Romanian boxer Ovidiu Bobirnat, South African Jeffrey Mathebula, Turkish Ramazan Palyani, Moroccan Tahar Tamsamani and American Ricardo Juarez. “There is an interesting story behind the Olympics in Sydney. Bekzat borrowed my red singlet to enter the ring. I warned that it would be too big for him, but he said that he would tie a knot at the back. In the video (of the match,) you can see Sattarkhanov’s knot on his back. He said that he wanted to enter the ring in a champion’s shirt, although I was not yet a winner at the time. Bekzat convinced me that I could win a gold medal myself,” recalled Ibrayimov, who won the 2000 Summer Olympic Games gold medal in the Light Middleweight division (71 kilogrammes), reports Kazakh-tv.kz. Before Sattarkhanov could continue his promising career, he passed away in a car accident Dec. 31, 2000 at the age of 20. On April 4, he would have turned 39 years old. Ever year in April, the Bekzat Sattarkhanov Youth Memorial Tournament gathers young Kazakh and foreign boxers in Turkestan, the boxer’s home city, to compete in 11 divisions. This year, gold medallists are boxers Zharas Komshabayev (46 kg), Daryn Kulzhabayev (49 kg), Almaz Duisenkul (52 kg), Askhat Tastanbek (56 kg), Aidos Zhaparbergen (60 kg), Yermakhan Otemis (64 kg), Madi Altynbayev (69 kg), Marat Kassayev (75 kg), Bagdaulet Kural (81 kg), Bagdaulet Abdullayev (91 kg) and Ozodbek Irismetov (+91 kg).